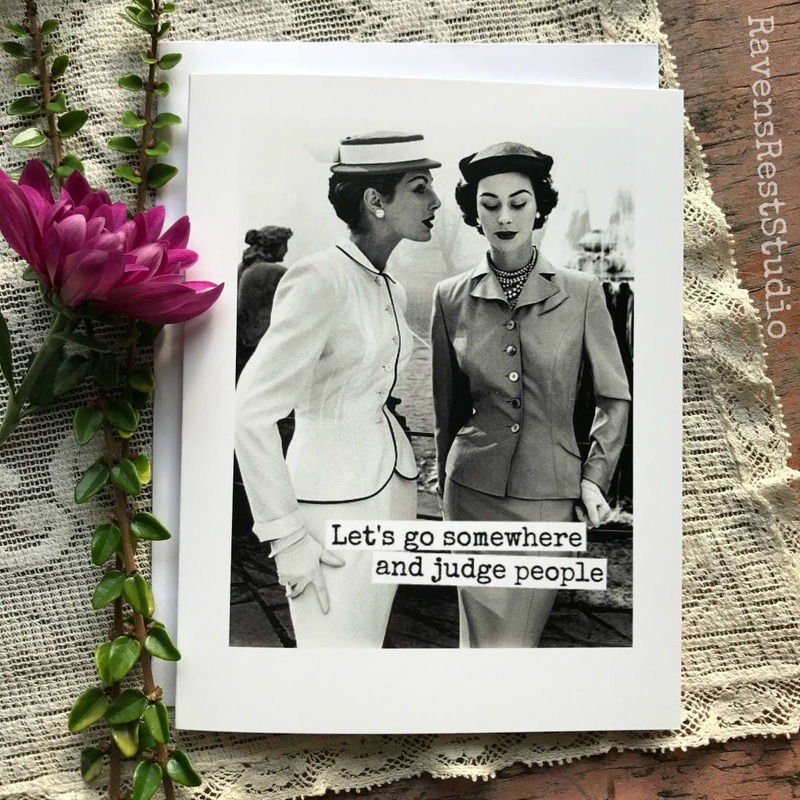 Funny Greeting Card. Vintage Photo Card. Friendship Card. Funny Quote. 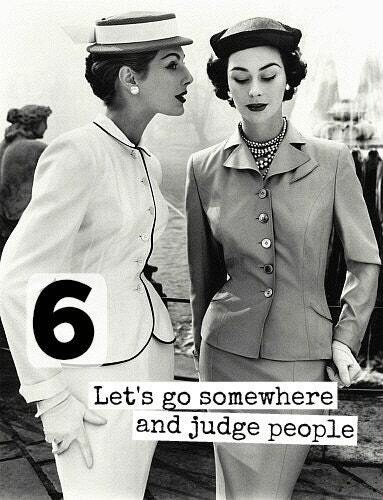 Let's Go Somewhere and Judge People. Card #6. 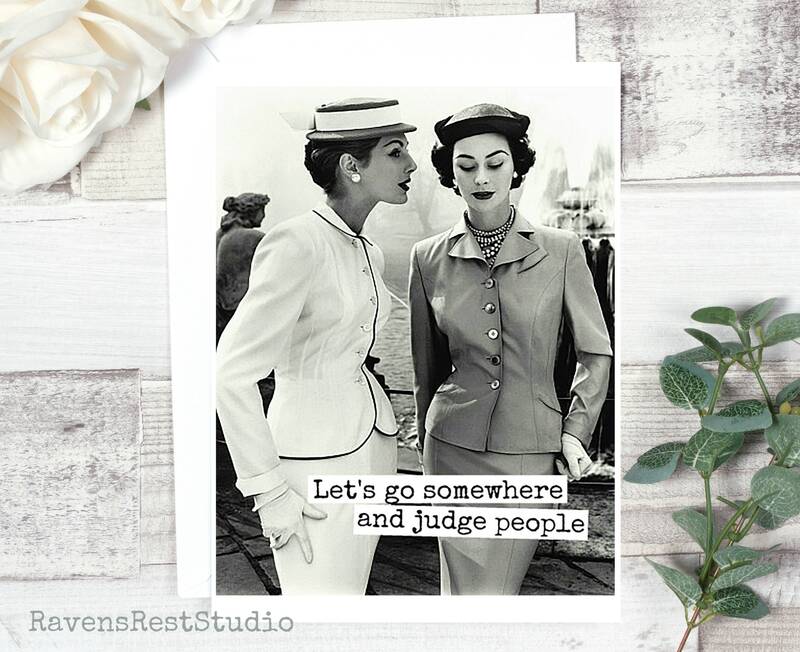 This card features two vintage women and reads: "Let's go somewhere and judge people".